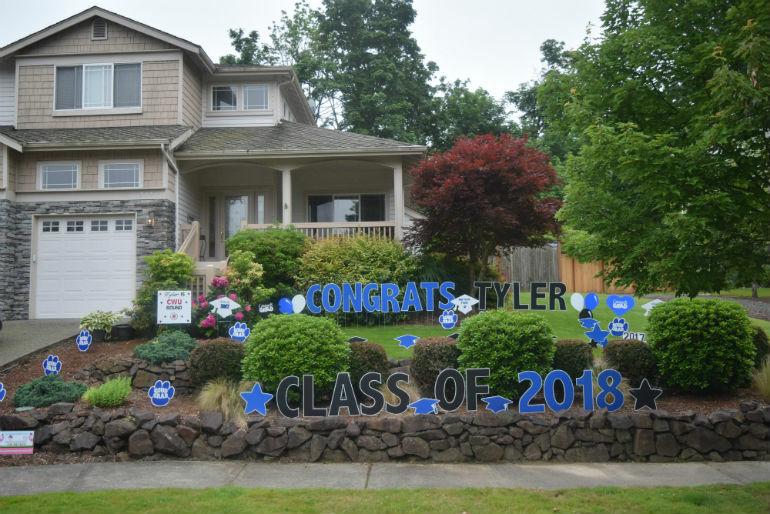 Also Featuring Yard Sign Displays and Yard Greetings for Other Special Occasions like Graduations, Retirements, & Anniversaries. 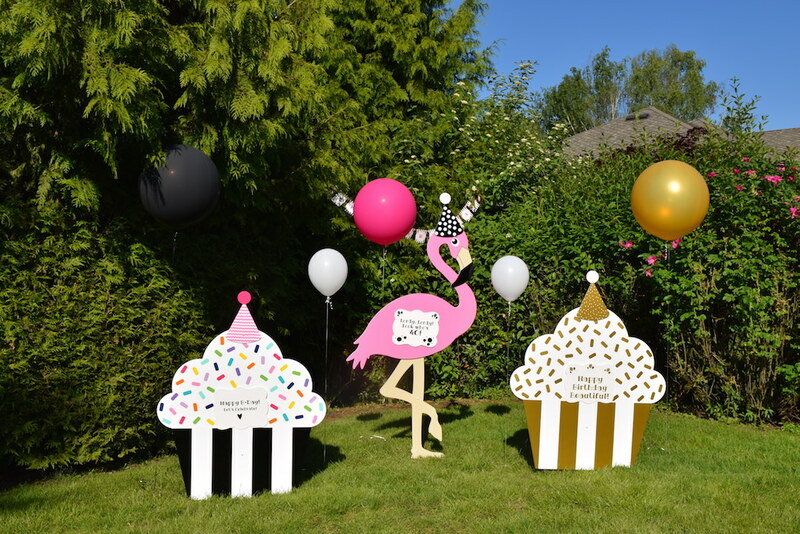 Looking for a fun way to celebrate a milestone birthday? 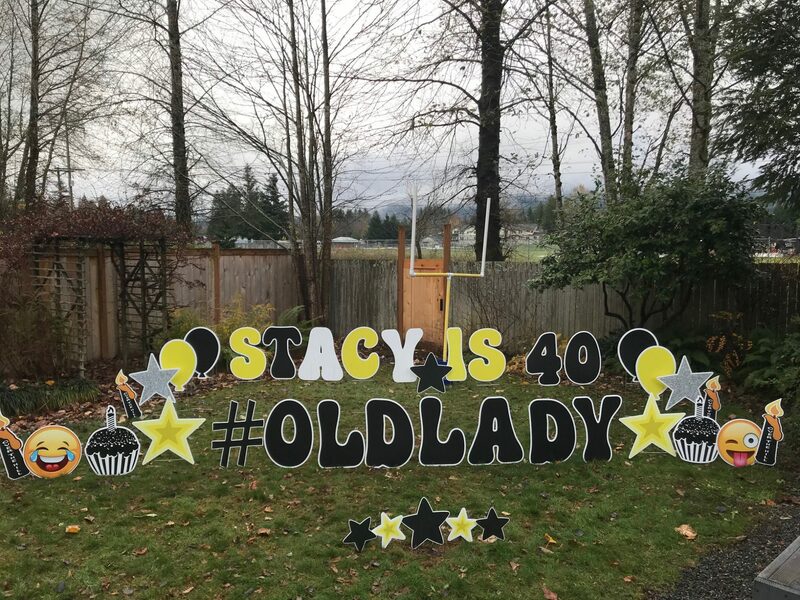 A 40th or 50th birthday? 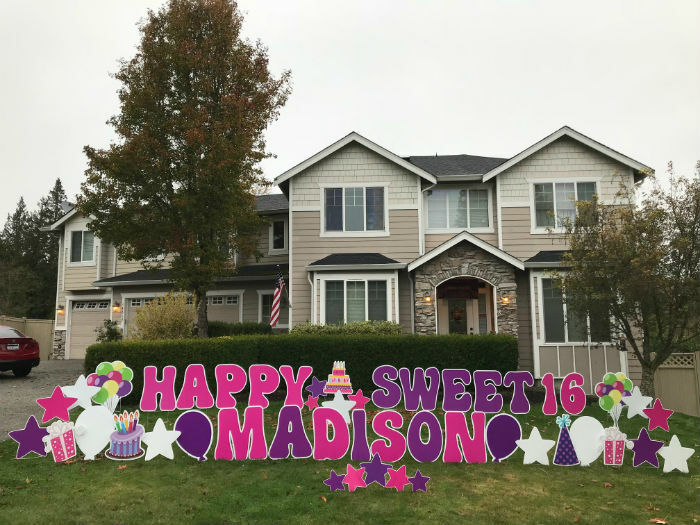 How about a Sweet 16 or 13th Birthday? 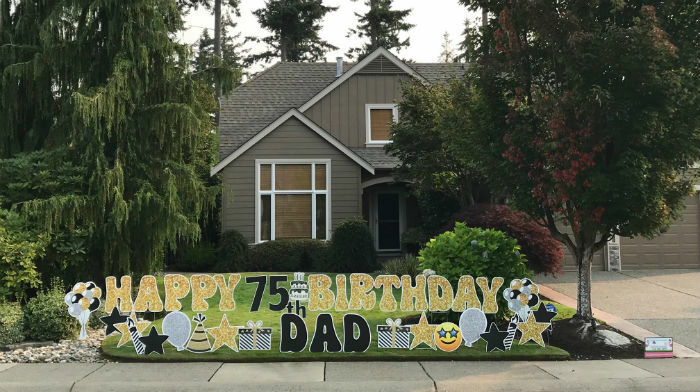 Maybe a graduation, anniversary or retirement? 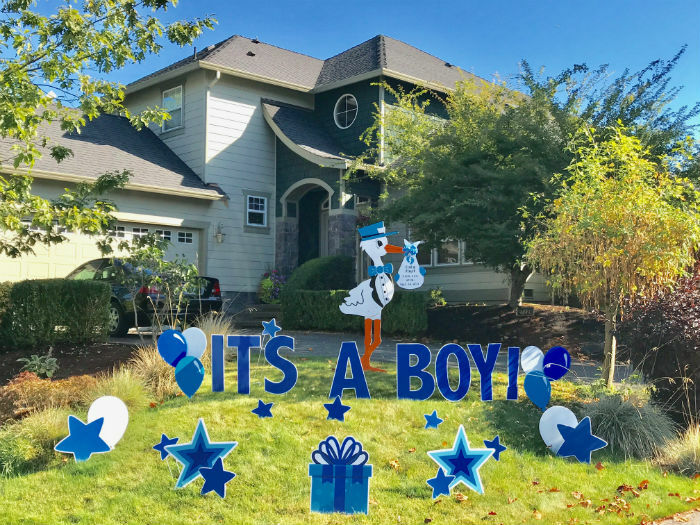 Would you like to announce the exciting news of your brand new baby with friends and neighbors? 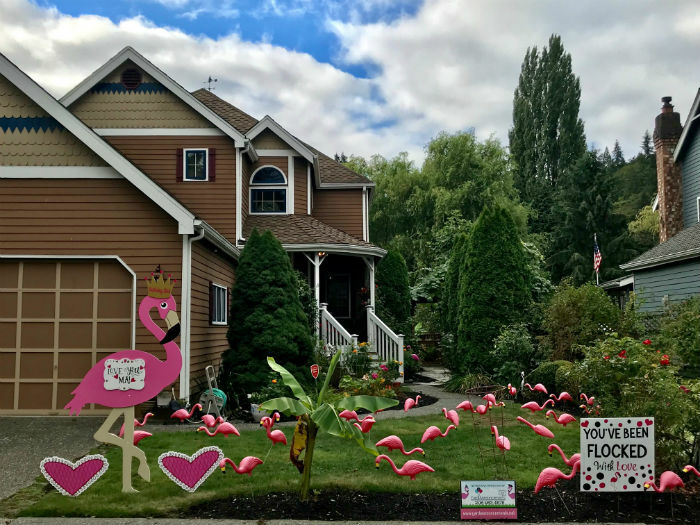 Maybe you just want to play a prank on a good friend by flocking them with flamingos (or should we say love)? 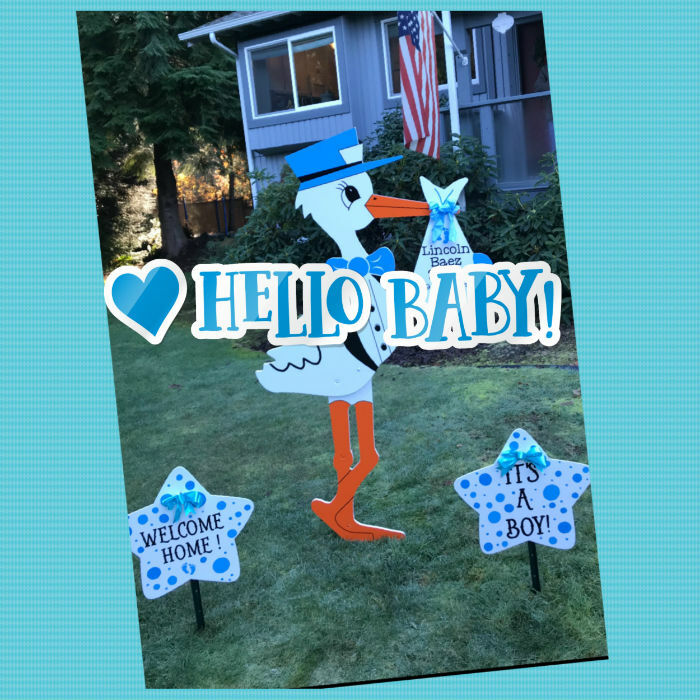 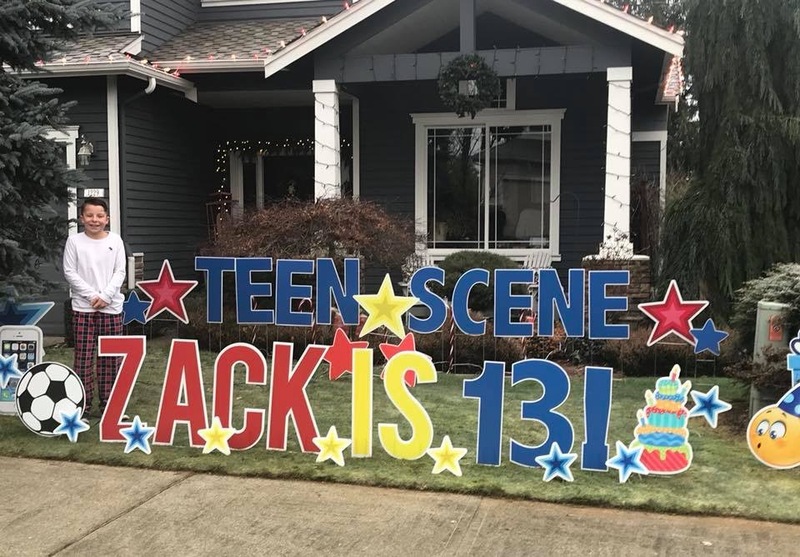 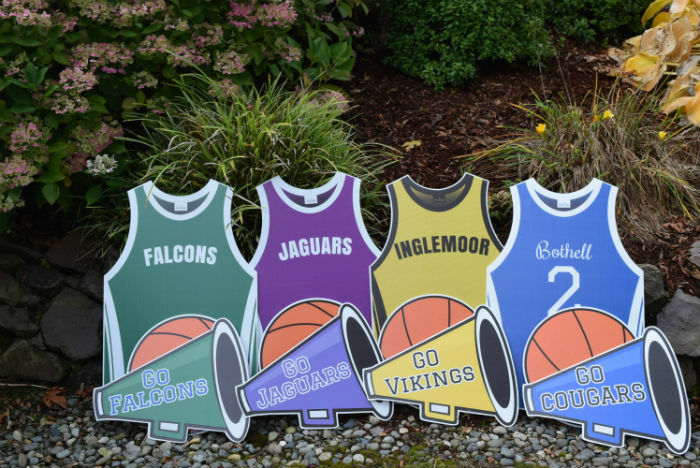 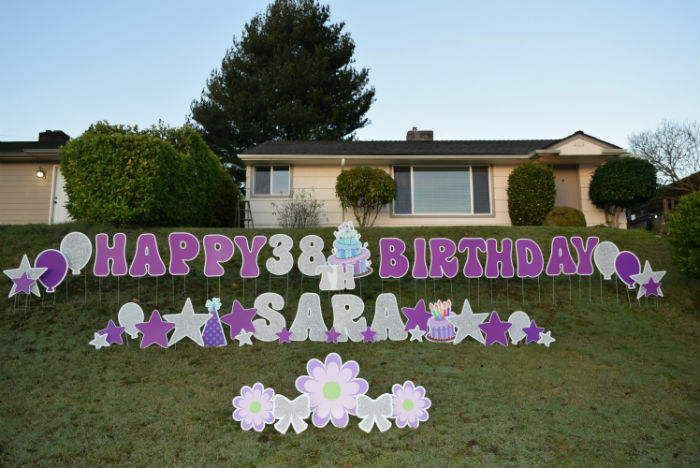 No matter what the occasion is, Yard Announcements is here to help make your celebration a memorable one with our fun yard signs. 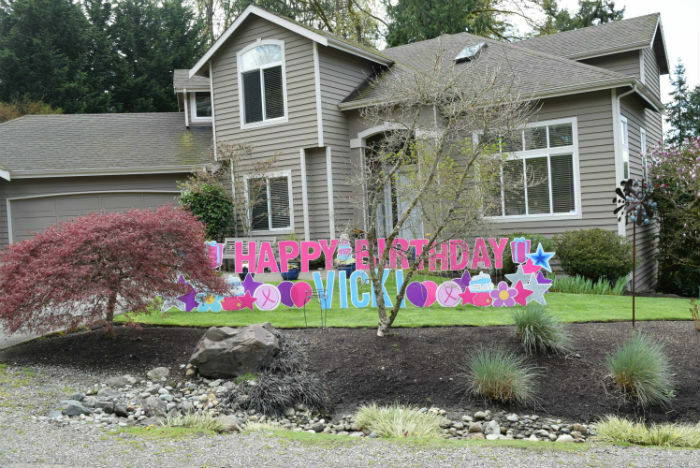 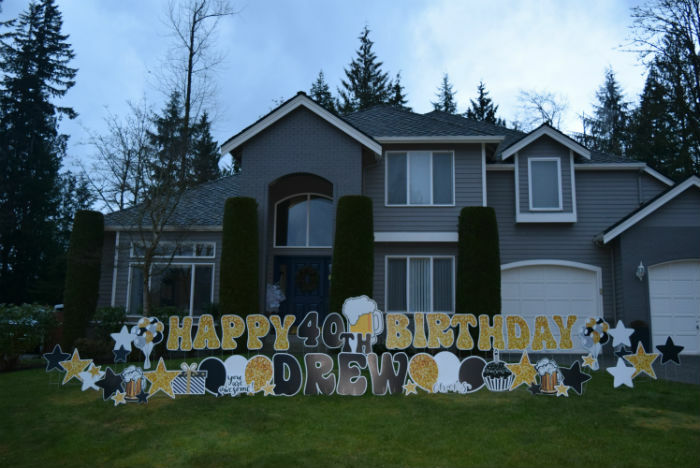 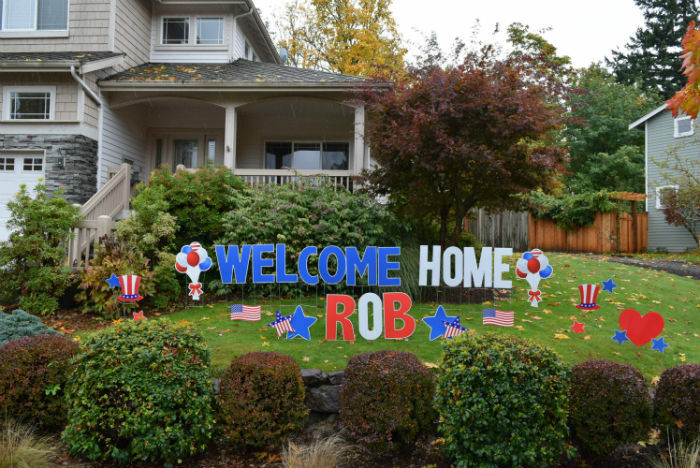 Our birthday yard signs are the most popular, but we can also put together a yard greeting for a graduation, welcome home, good luck, anniversary, retirement, PTA event, or just about any occasion you can think of! 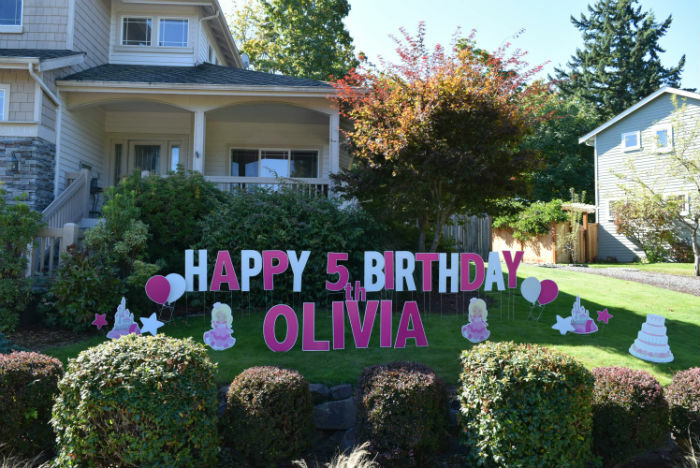 We specialize in making people smile! 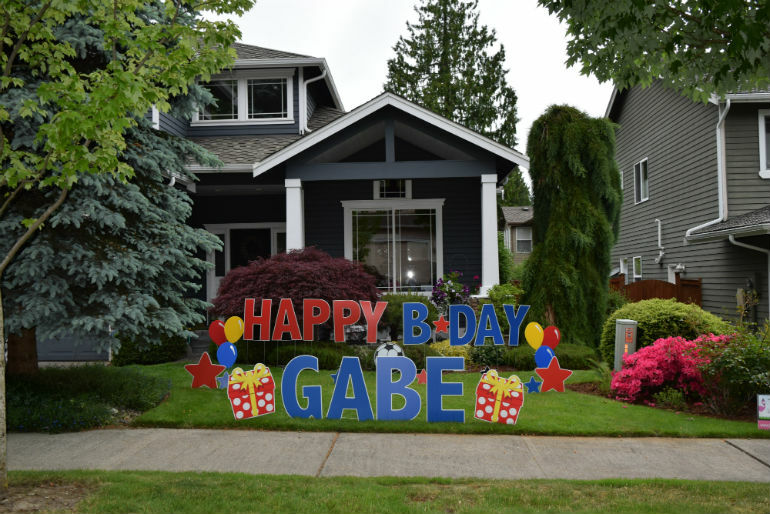 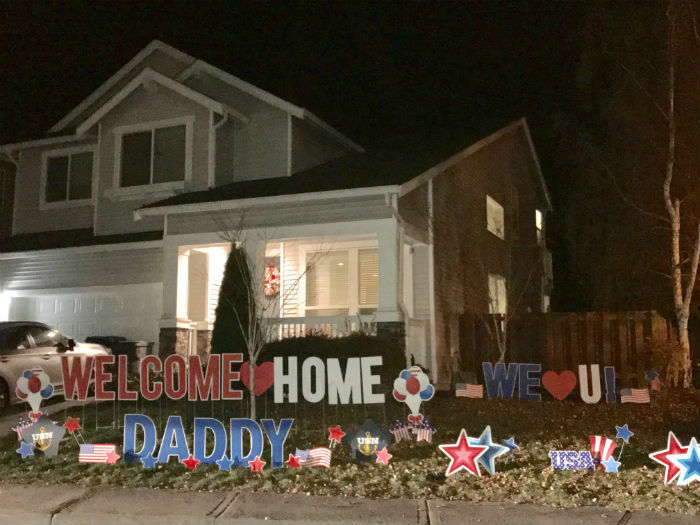 For about the same price as a delivered bouquet of flowers, you can send your special someone a yard sign surprise they will never forget. 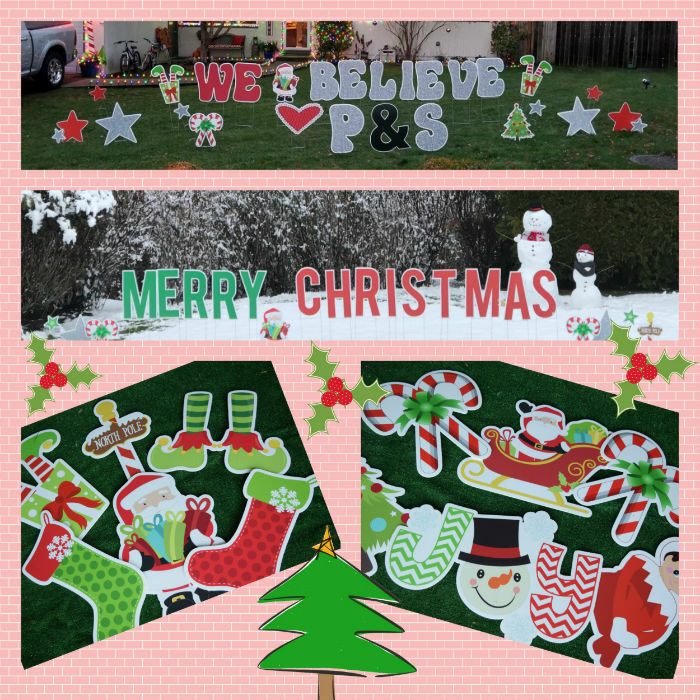 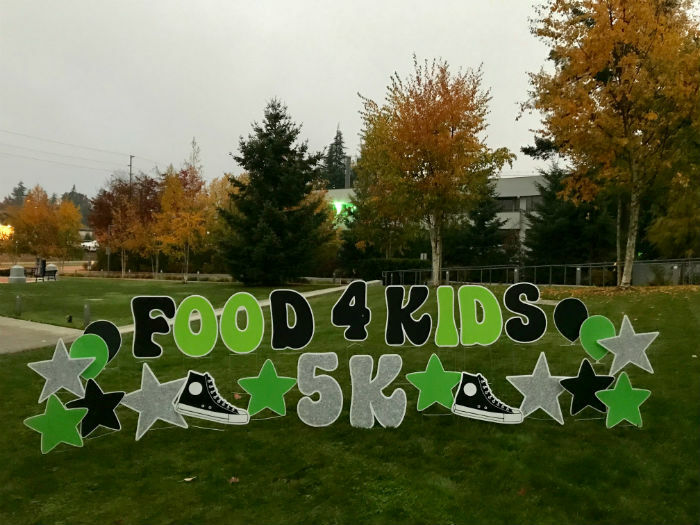 We offer yard sign rentals to help you decorate for almost any party, event or special occasion. 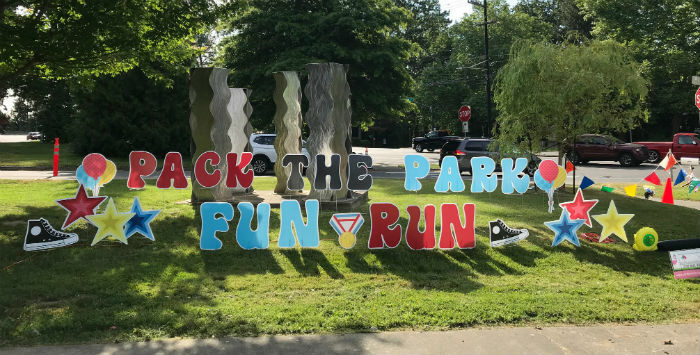 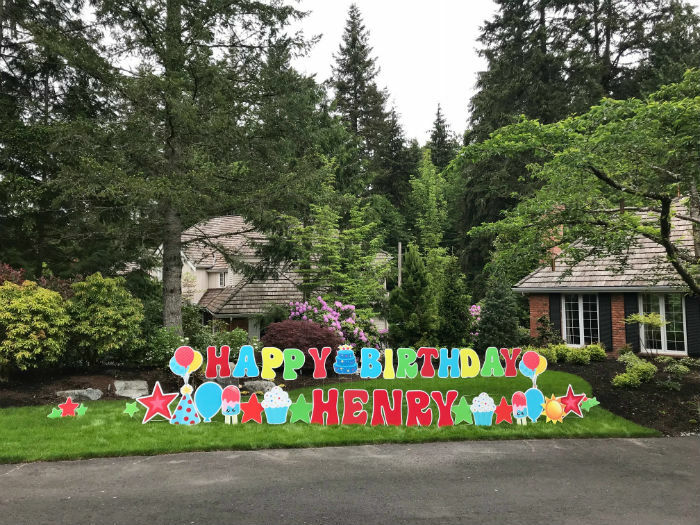 Birthday sign displays using our over sized letter signs are our specialty! 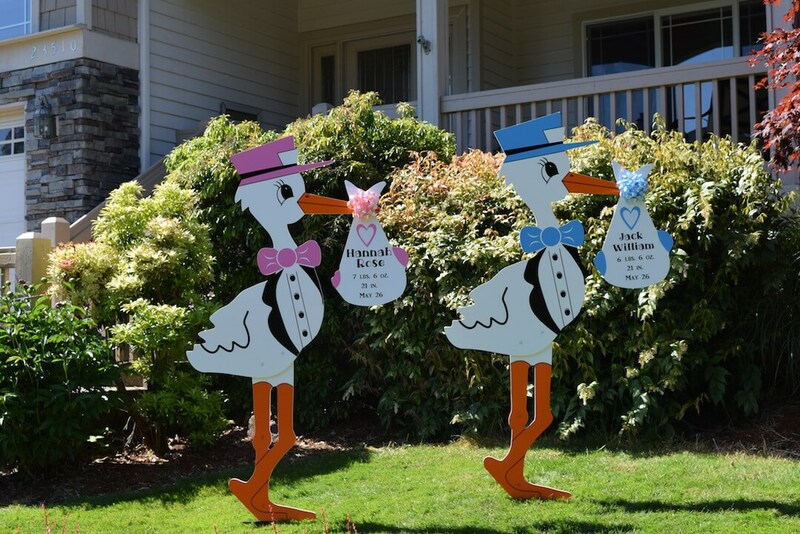 We also love to celebrate new babies and have the cutest stork birth announcement signs available on the market! 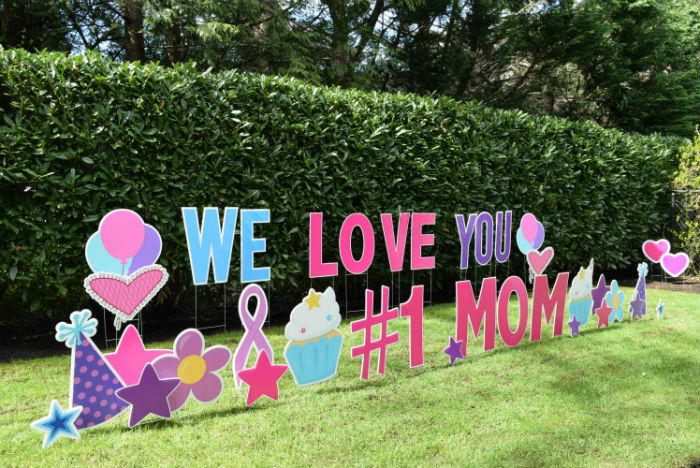 Yard Announcements will make your special person feel loved and provide a fun memory that they will cherish forever. 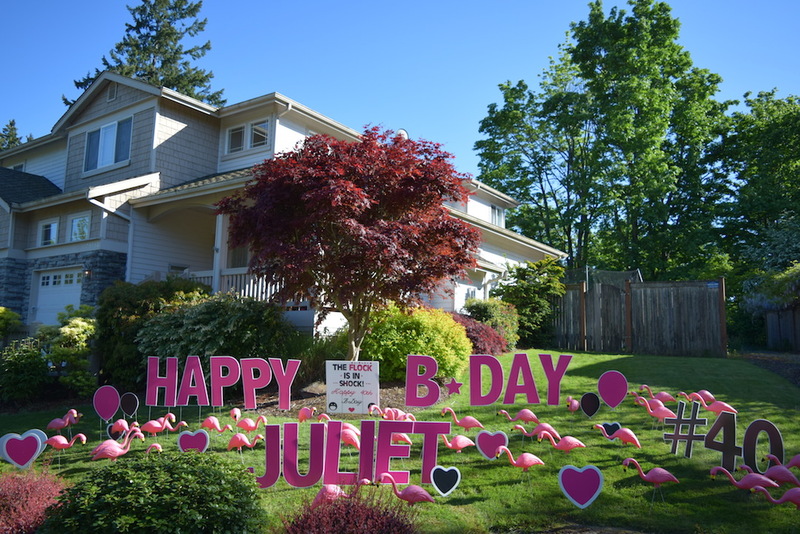 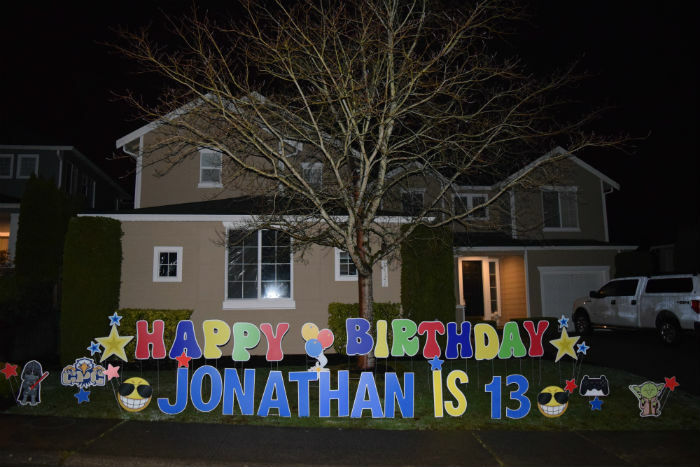 Our birthday signs might just make some of your neighbors and friends smile too! 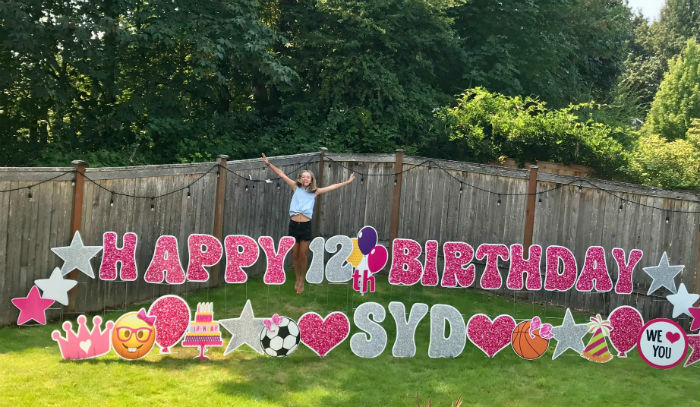 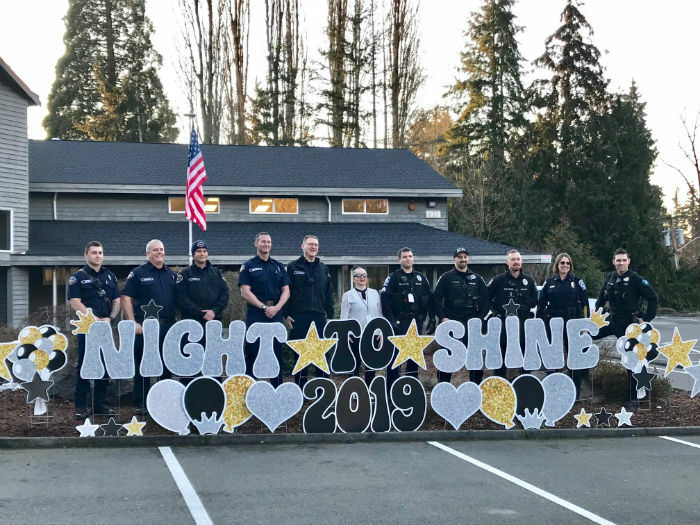 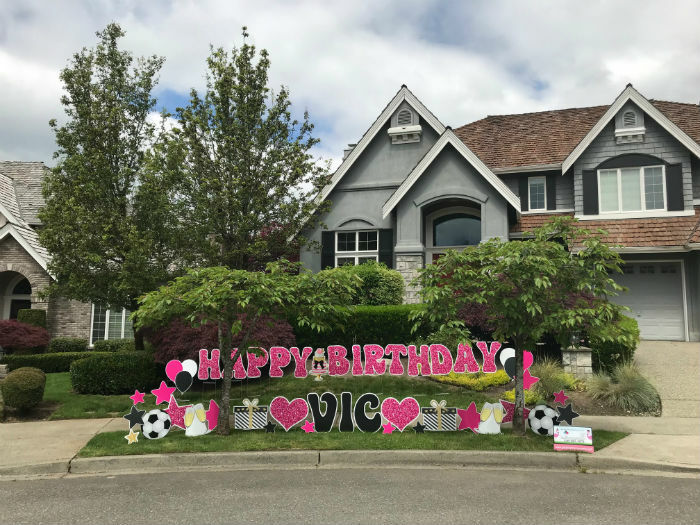 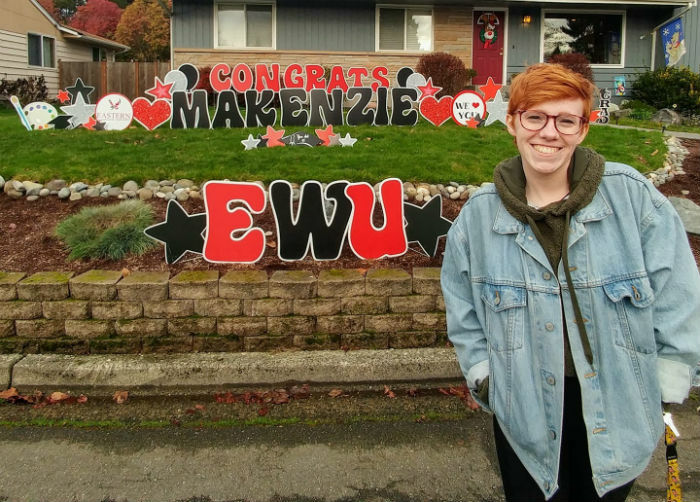 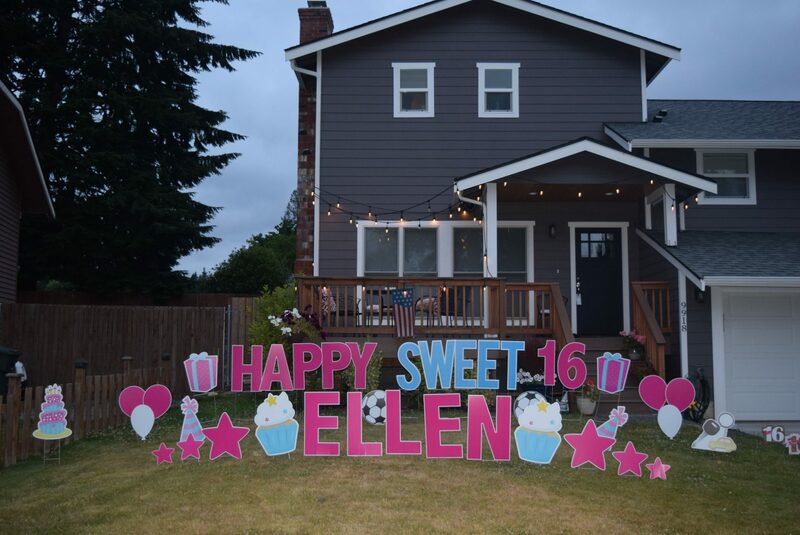 Oh, and did we mention that our birthday and graduation signs also make for great photo opportunities for those birthday and graduation parties as well as amazing party decorations to greet your guests? 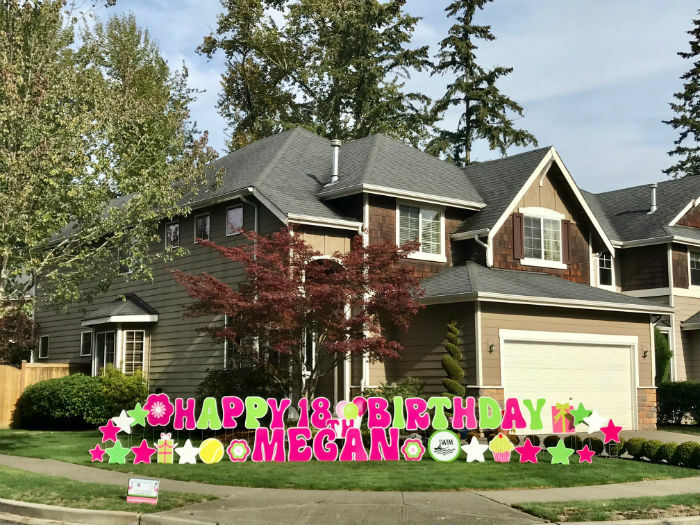 Contact us today so we can help you with the party decorations for your next big party or event! 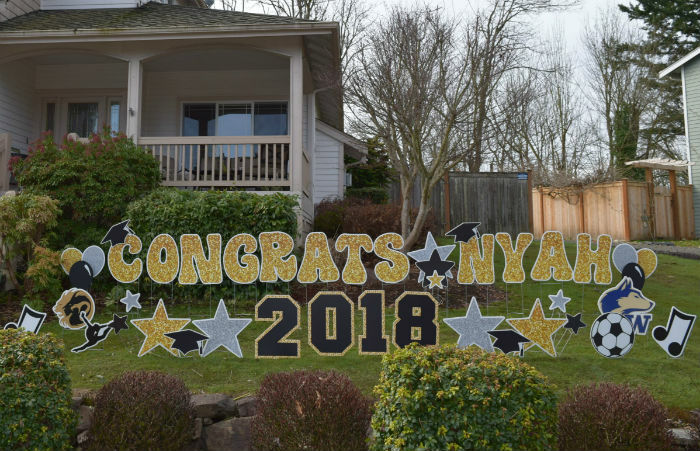 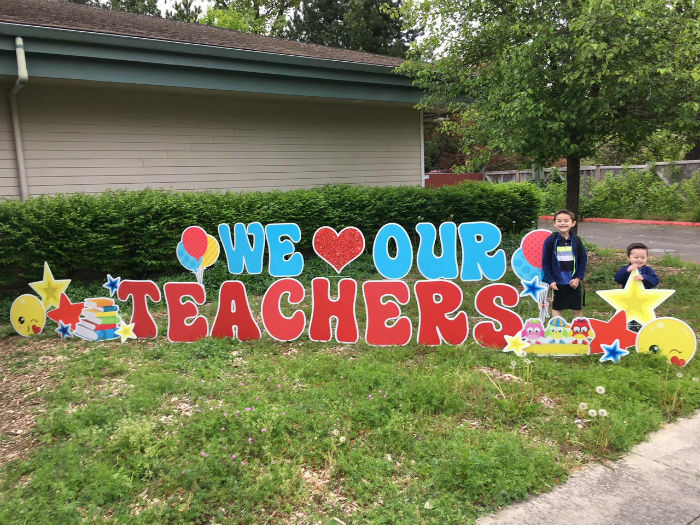 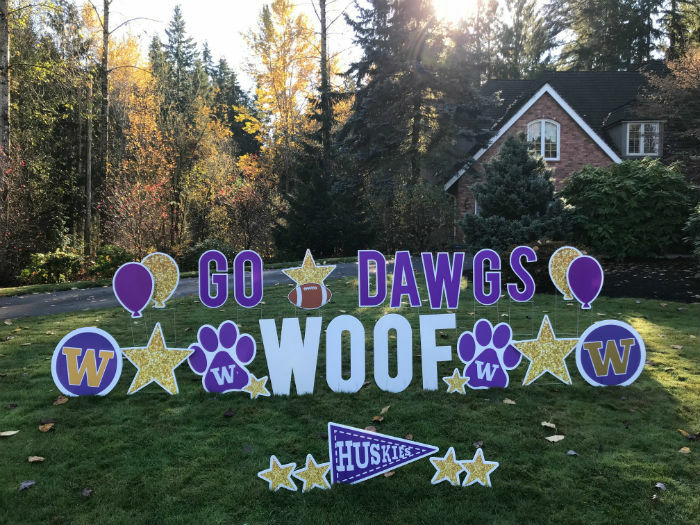 Learn more about Yard Announcement birthday, graduation and other celebration signs at our Blog!